and a casserole dish underneath). 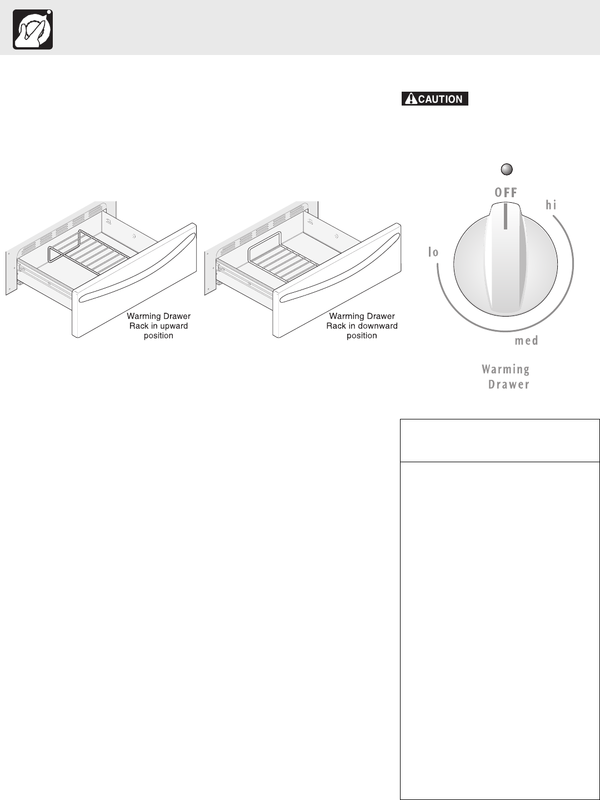 Set the Warming Drawer rack in either position as shown below (Fig. 1). food in the Warming Drawer. cookware recommended for oven use in the Warming Drawer. 1. Turn the knob to select the desired temperature setting. will preheat in approximately 15 minutes. 3. When done, turn the control to OFF. setting. To avoid heat loss, do not open the Warming Drawer while in use. will be hot and you can be burned.